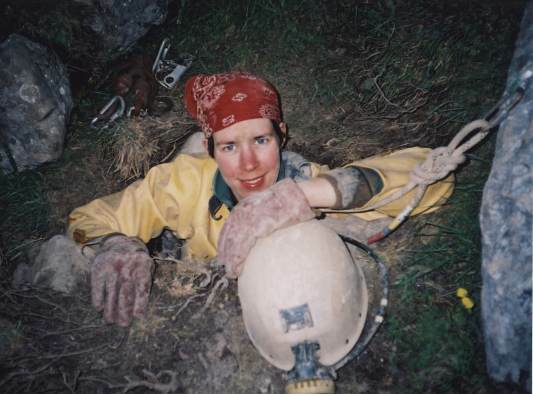 This is where it all began, my first expedition in 1997 when I was an undergraduate caver with Oxford University Cave Club. OUCC have a regular expedition to the Picos, although nominally a university expedition the project has always welcomed those from outside. Recently the project has been relaunched as the Ario Caves Project under the expert leadership of Steph Dwyer. The mountains in the Picos and the caving opportunities there blew me away when I first went out in 1997 and I have since returned to the area a further 8 times, most recently in 2012. I also ended up leading the 2011 expedition. A few words about the expeditions I attended are below; more information is also available on the OUCC pages and the ACP site. El Regallón 1997: While I did not discover a lot of new cave, I did hone my vertical caving skills and fell in love with the mountains in the Picos. 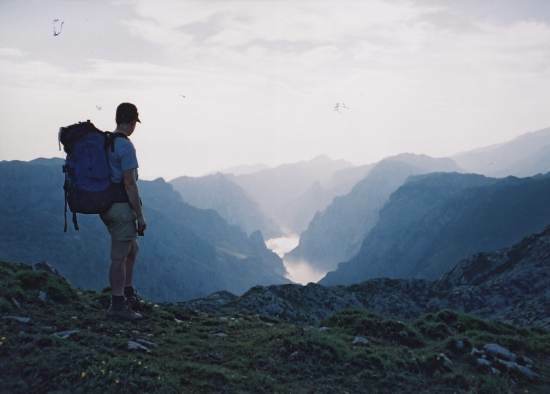 Jultayu 1998: A pivotal expedition for me. Although I did not return to expedition caving for another 4 years, the 1998 expedition which returned to the Cave of the Witches Eye on the slopes of Jultayu made a large impression on me. I spent two months in the mountains and a lot of time down a properly deep cave (~820m). The shaft series of the cave, the large underground river and metro sized tunnels at depth were just amazing. This was the beginning of my love for deep caving. My longest duration underground trip that year was six days, a record I did no equal until 2009. Tormenta 2002: A return to cave exploring after a few years off caving. Storm Cave was only a couple of pitches deep when the expedition started but was pushed to -720m by the end. It was classic vertical cave exploring at is best and reaffirmed that this was one of things I wanted to do with my life. Julagua 2003: Continued exploration in Storm Cave (that’s me in the entrance on the right). Asopladeru La Texa 2005: In 2003 Storm Cave had been connected to Texa, previously explored by Spanish cavers. This was the first of several OUCC trips which extended Texa, a cave around 800m deep. Fissura La Chica 2007: A nearby cave “Chicago” was expored to around 650m depth. 2009: Back to Texa again. I did some bolt climbing at the end of the cave, but sadly it led eventually to another sump in a flooded shaft. An article on this expedition was published in the Mail on Sunday along with some excellent pictures from the cave photographer Robbie Shone. Xitu 2011: A return to a legendary OUCC cave, over 1100m deep and not re-visited since the 1980’s it was hoped that we would see major extensions. However, we were thwarted by the weather which caused huge floods and meant we failed even to reach the bottom of the cave. Xitu 2012: With the bottom of the cave reached we were able to facilitate a ground breaking diving traverse from the cave to its resurgence in the Cares gorge below. 2017: After a break of 5 years, I was back, and very happy to contribute to the ground breaking C4 to 2/7 connection. You can read my report on this site. And also buy the fantastic film of the 2016 and 2017 ACP expeditions here.